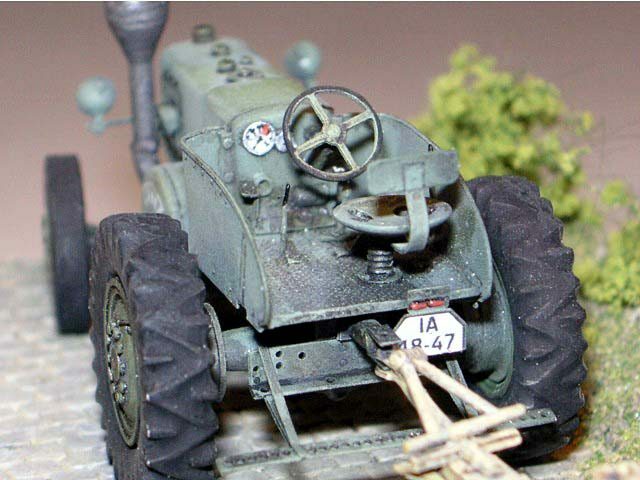 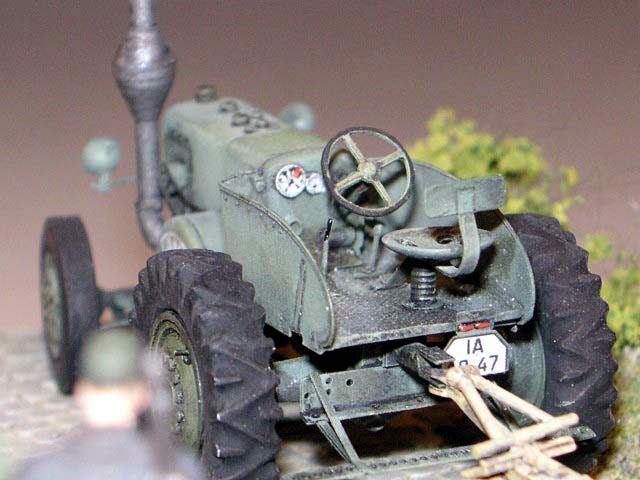 "Lanz Bulldog & 8,8cm Püppchen"
The Lanz Bulldog from Extratechu is built out of the box but Attack gun has improved barrel, shield and other details. 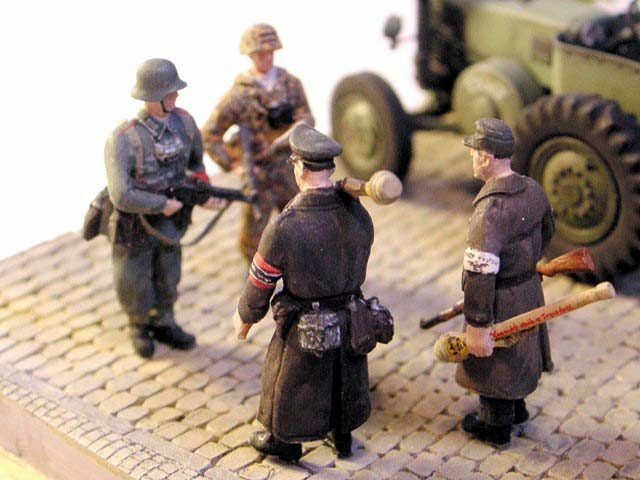 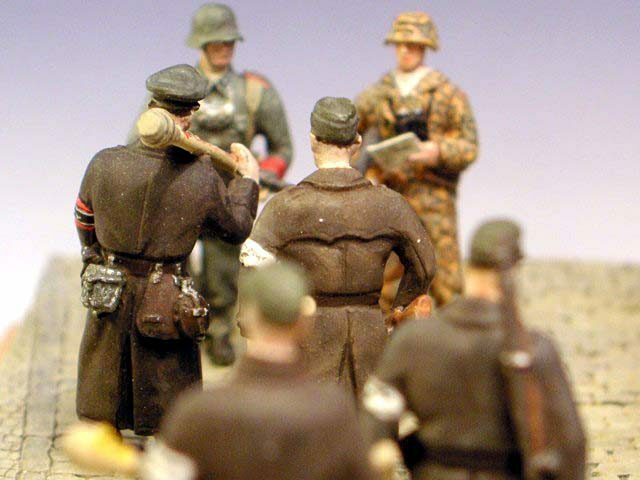 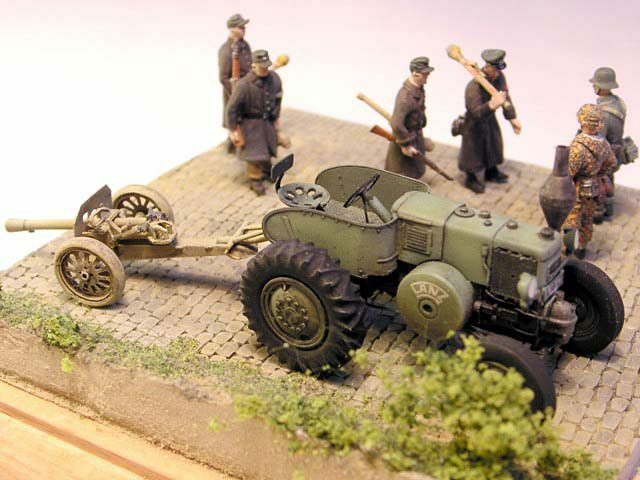 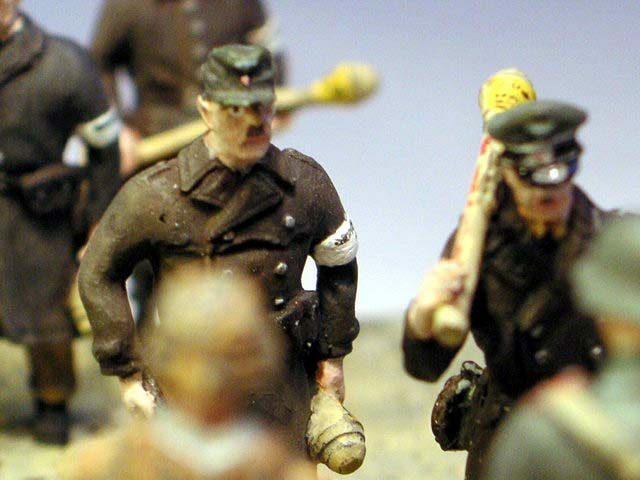 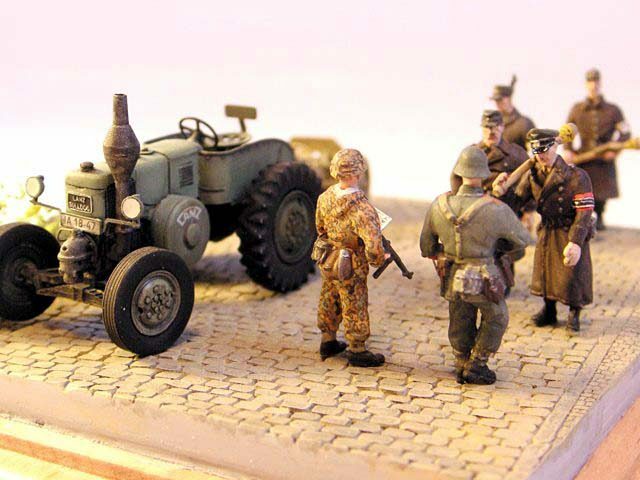 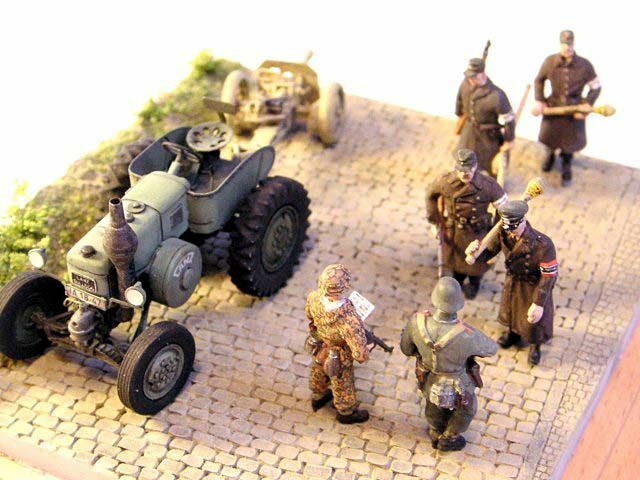 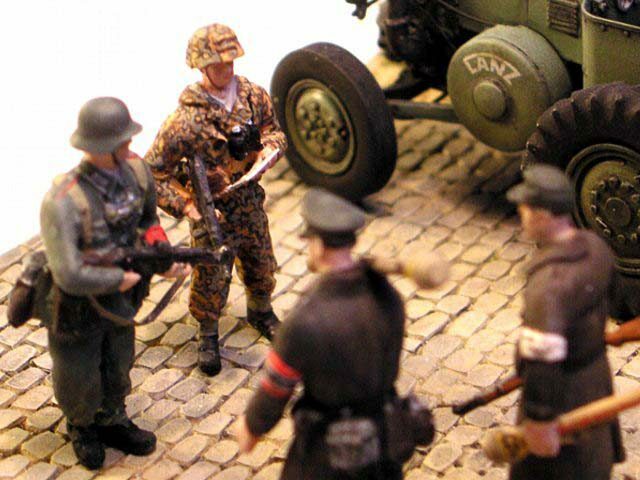 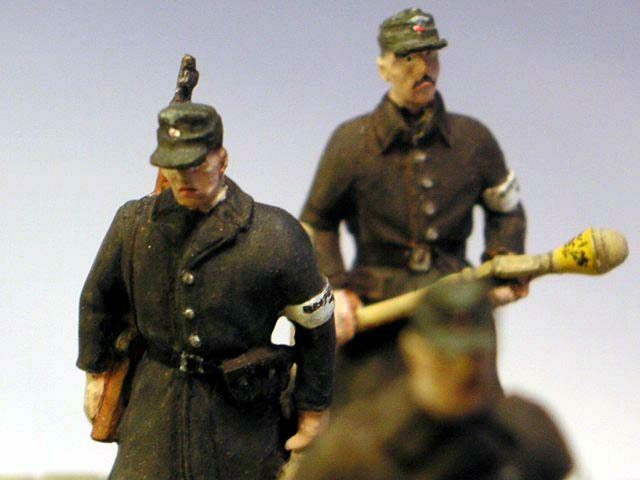 Figures are mostly from Milicast set German Volksturm. 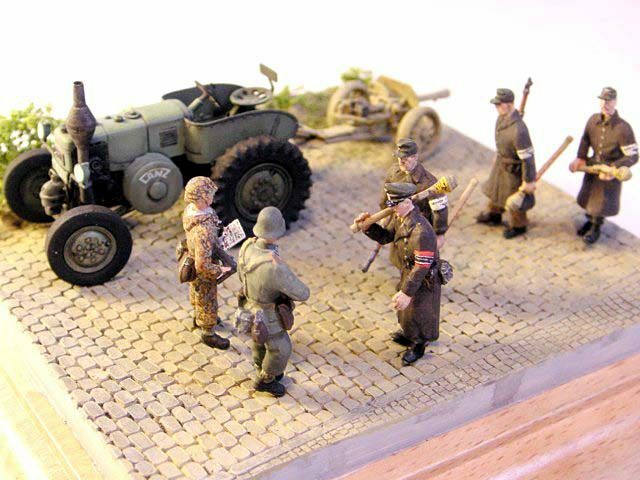 The SSman is from FCM set. 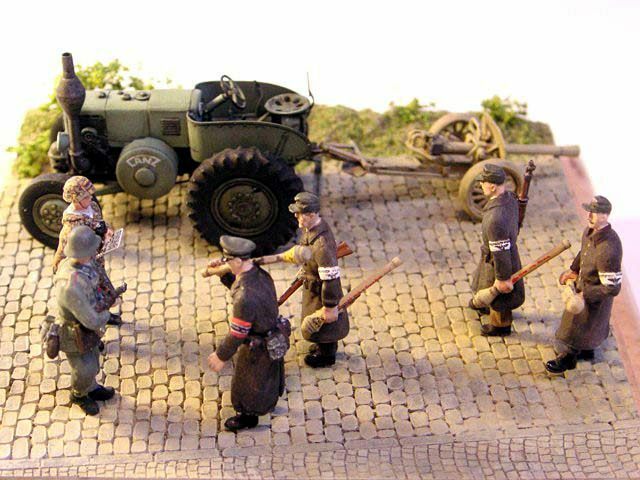 The street section is from MIG Productions, the boardwalk is scratch.